In the last year, about 10 percent of NEIU students experienced some form of homelessness. 44 percent had housing insecure and 41 percent had low or very low food security. There is a running joke about college students eating 50 cents ramen because they are dirt poor, but some are poor and homeless. NEIU participated in the Wisconsin HOPE Lab at the University of Wisconsin-Madison where 70 community colleges in 24 states were surveyed to help shed light on food and housing insecurity in American higher education. The study was conducted using the data collected from a questionnaire sent via email to 7100 students. Only 452 students completed it, a response rate of 6.4 percent. Released in 2017, this study stated that 14 percent of these students were homeless and 59 percent of students at NEIU experienced at least one form of basic needs insecurity in the past year. A percentage of 5.6 experienced all three forms. Regardless, for NEIU having over 250 students experience any form of basic need insecurity is too high of a number. Student Advocate Kelvin Johnson, who keeps granola and protein bars stocked in his office for hungry students, knows the importance of trying to help students who are experiencing housing instability. Dr. Sara Goldrick-Rab, founder of the HOPE Lab and a professor at Temple University in Pennsylvania, said that one reason for the higher rates of homelessness among students is that lower income students are now attending college. NEIU, as one of the more affordable universities in Illinois, is often the place of choice for students who do not have the financial means or resources to attend institutions with higher tuition rates. This means that lower-income students are walking through our doors every day. So how is NEIU trying to help those students who are struggling with housing? If a student is finding themselves in a situation of housing insecurity, Johnson would be your first stop. Access to shelters or temporary housing are the main forms of help that NEIU can offer. The student pantry is also available to students who are in need of food. But that is not enough. Students should not have to worry about not having a roof over their heads or wondering where they can park their cars overnight without being towed. Help has to arrive before a student has already found themselves fully homeless. Johnson agrees. “I am in the process of finding grants and support to help our students at risk for homeless or who are a paycheck or two away from being homeless,” he said. Many colleges across the U.S. have started to take steps to try to help. Students at the University of California at Los Angeles (UCLA) opened up a small homeless shelter that’s aimed specifically at helping students. Students 4 Students houses nine beds and offers meals and a study room. Other universities offer up their dorm rooms, which NEIU could also do. Finding and sponsoring grants and scholarships to help students get access to The Nest is the best way NEIU can help at-risk students. While there are certain scholarships available, which is a start, programs have to be put in place to allow students access to the Nest regardless of GPA and school involvement. 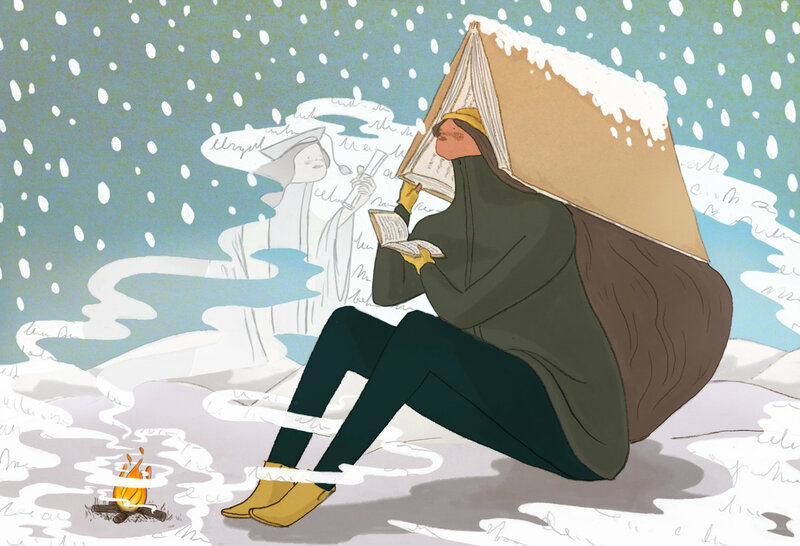 If a student does not have a place to study and is constantly working and trying to survive without a place of residency, chances are that their grades might not be the best. Giving these students a warm place to stay and study allows them the opportunity to better their academic achievements while at NEIU. “We are currently in the process of looking for funding to help assist with the housing needs of NEIU students,” said Johnson, who believes that if funding is granted, those resources can go to homeless or at-risk students. As much as Johnson tries to help students, even he is aware that it might not be enough. NEIU needs to step up to the challenge and realize that in order for students to be successful here, they need to have their basic needs met.